Our specialty team is dedicated to seawall repair and construction. 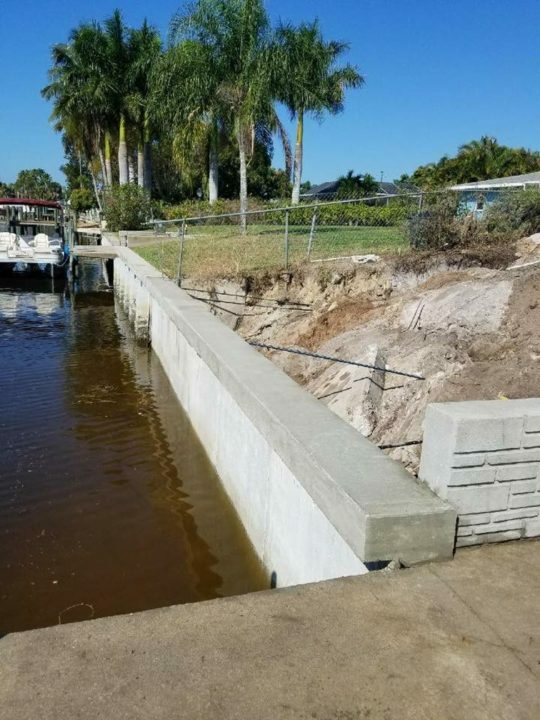 We are Lee County’s only full-service marine contractor with team dedicated to seawalls, docks, tiki huts, and more. Your seawall is critical to preventing erosion, protecting your home and property, and protecting against major weather events. The investment you make in a seawall can help to protect the structural integrity of pools, patios, docks, and even building foundation. That’s why getting your seawall right matters. We have a dedicated team skilled at planning your seawall specifications, helping you select the best options, and designing for long-term structural integrity. 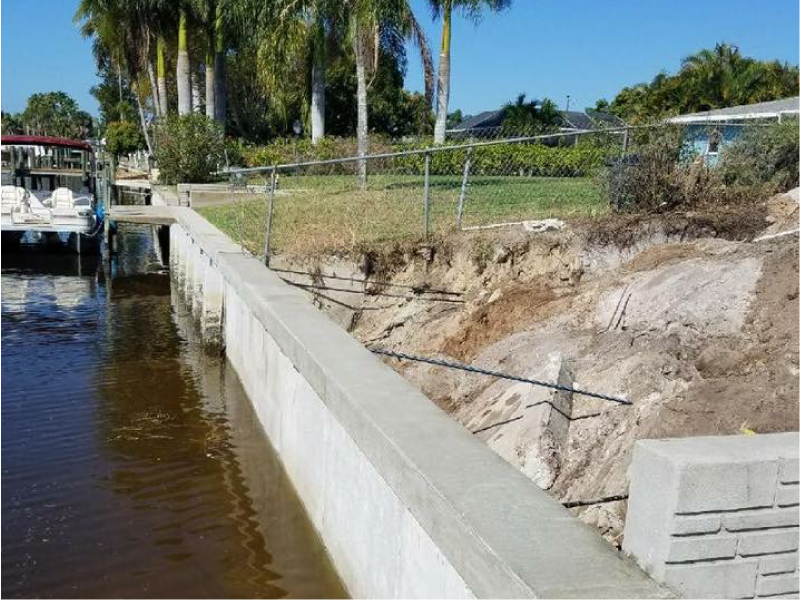 When you select a contractor for seawall repair or seawall construction, put your project in the hands of a company you can trust. Look for a proven track record, customized service, and the ability to educate you on your options. Our goal is to make your seawall repair and construction process easy, transparent, and understandable. While our expert field teams work to ensure your seawall is built with the care and craftsmanship to last for generations, our service staff is making sure you stay informed every step of the way. Your complimentary consultation and site review helps us understand the specifics of your needs and how best to construct a seawall on your property. Once we are all systems go, our permitting teams starts the permitting process. This can take anywhere from two to four weeks depending on several factors. After our review, we create your custom site plan. This (and the estimate) gets reviewed with you by one of our experts to agree on specifications. With a permit in hand, our barge, concrete, and cap crews can get to work doing what they do best – expert seawall repair and construction for our customers. We identify any financing needs and recommend a source, then both parties sign the contract. After a few simple permitting forms get signed, our team gets going. Before we wrap up, both you and the local permitting authorities have to double check the work and sign off to ensure the job is 100% complete to satisfaction. We are experts at guiding you through choosing the best seawall repair and construction options. 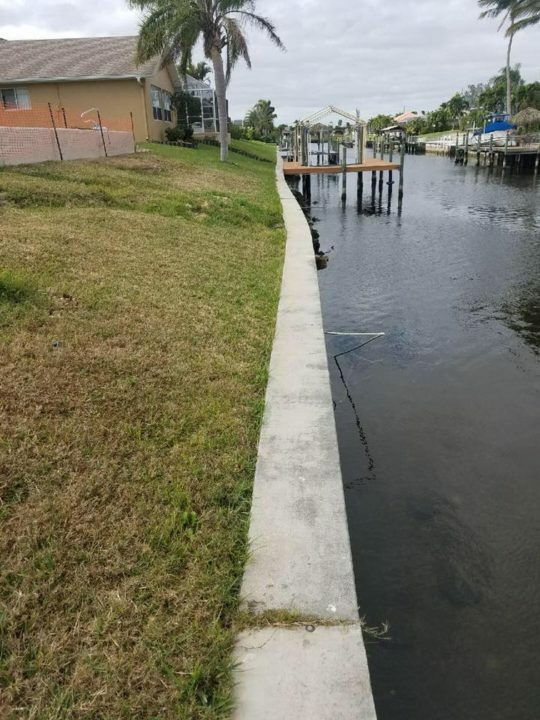 When you choose the right seawall options, you can make your seawall last longer. This helps you protect your existing investments (home, property, etc.) as well as your new seawall investment. Concrete is a go-to for seawall construction. 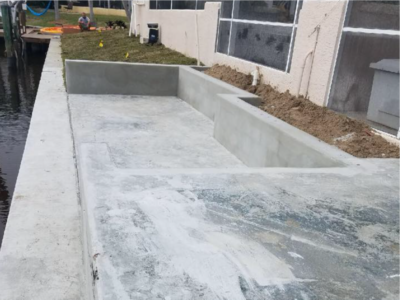 Because it’s more reliable and structurally sound than other previously used construction materials, it’s a strong choice for protecting your property. 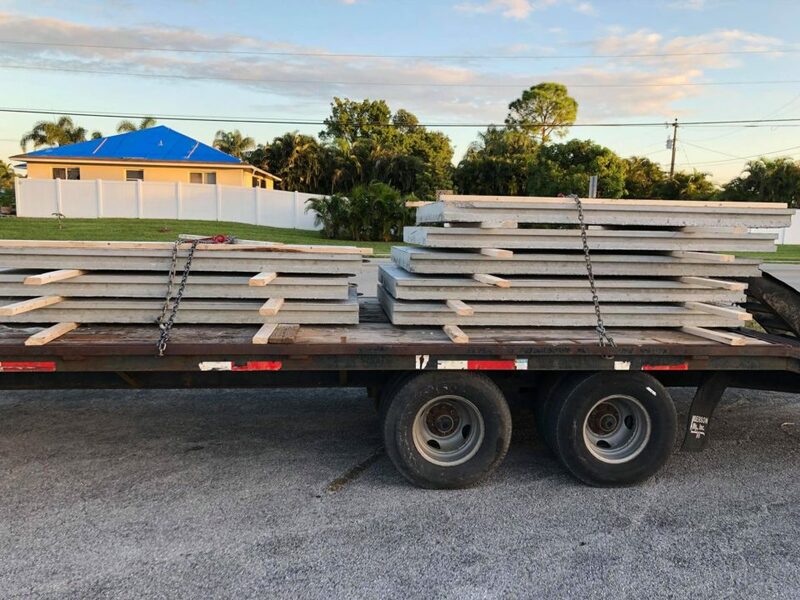 We pour our concrete seawall panels in our dedicated facility. Then, they are installed on your property in addition to the standard on-site work of pouring, caps, and finishing. 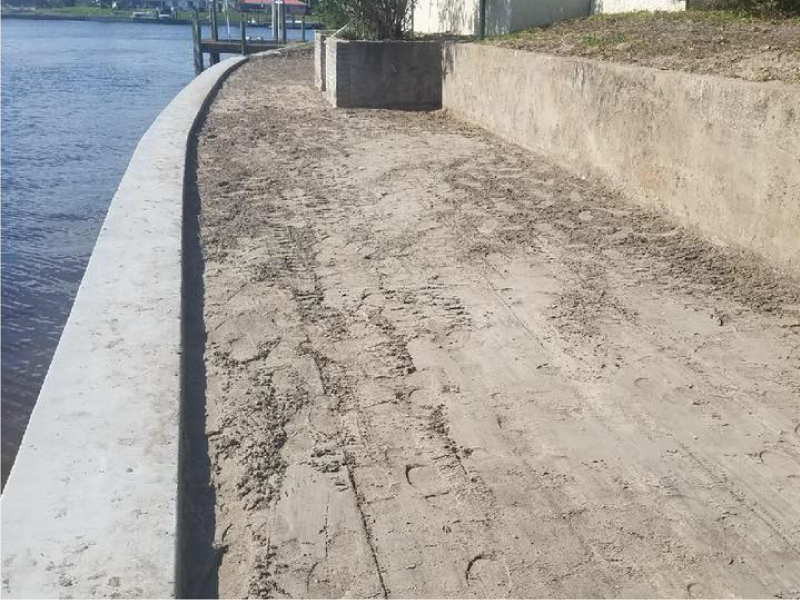 We are one of the leading resources in Southwest Florida for seawall repair and construction. Our skilled team visits each property prior to providing a quote. This means we take all specifications into consideration. More importantly, you understand exactly what needs to be done to create a long-lasting, high quality seawall. Our customers are satisfied and our reviews prove it. Because of our extensive experience in the local market, we are experts in marine construction built to last. 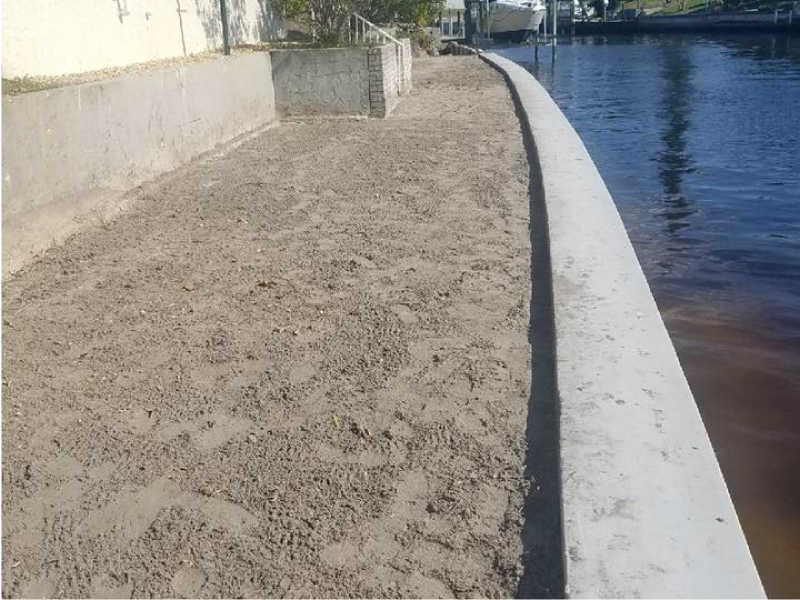 Whether you are repairing a seawall or adding a new seawall to a vacant lot in Cape Coral, Naples, Punta Gorda, or Alva; you can trust our skilled team to provide consultation, advice, education, and quality craftsmanship. Check out our full gallery here.